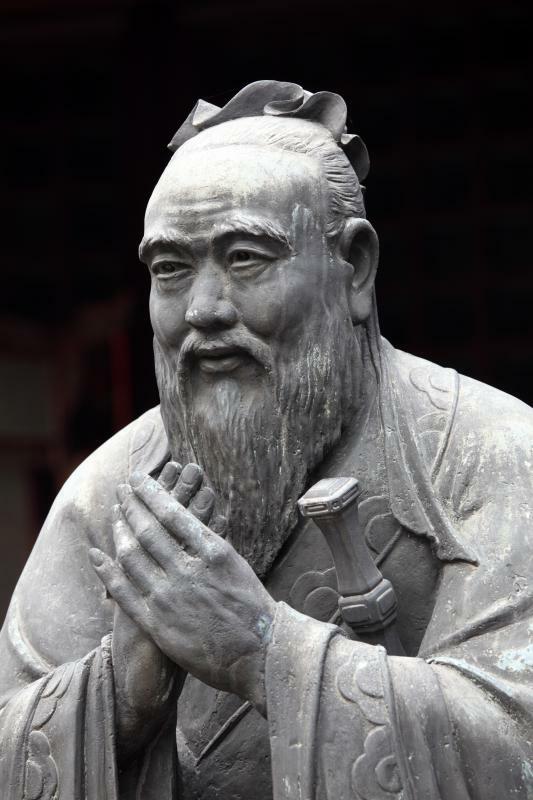 A statue of Confucius, who is credited with many famous aphorisms. 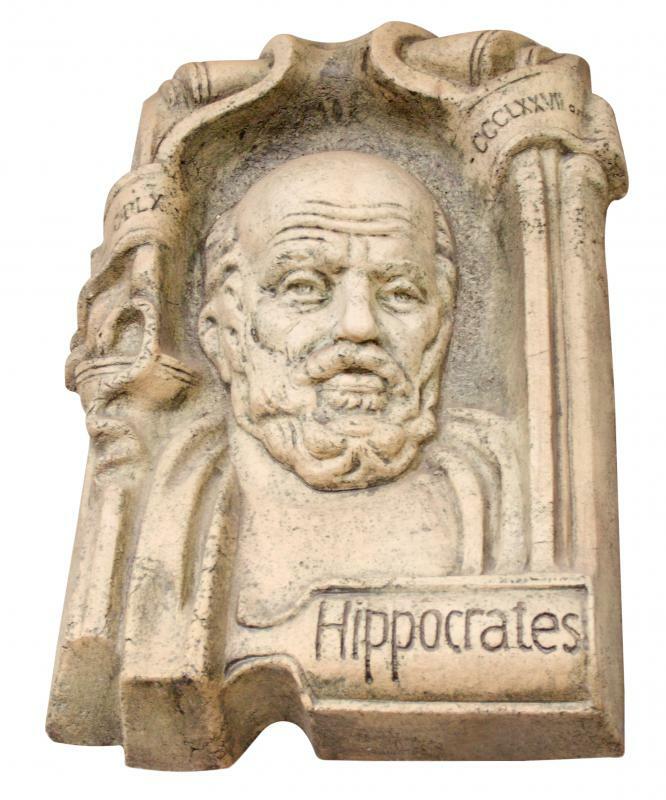 Hippocrates composed an aphorism collection between 460 and 370 BCE. An aphorism is a statement which reveals a truth in a short, memorable, and often witty way. Such statements have had a place in public thought for millennia, as evidenced by Hippocrates’ composition of a collection of aphorisms between 460 and 370 BCE. From Confucius to John Lennon, scores of philosophers, artists, politicians, athletes, and other individuals have been immortalized by an aphorism or set of aphorisms which have entered into common usage. Anthologies of aphorisms by various authors have been commercially produced for several centuries. It is generally agreed that in order for a statement to qualify as an aphorism, it must contain a truth which is revealed in a concise fashion. Some theorists go further, arguing that aphorisms must contain an element of philosophy. In the view of these theorists, this characteristic distinguishes an aphorism from trite or even meaningless clichés, such as “everything happens for a reason.” While aphorisms often contain a grain of humor or wit which helps to make them memorable, many well-known aphorisms are not humorous. Aphorisms have occupied a place in public thought for millennia, as evidenced by the fact that Hippocrates, the Greek physician commonly known as the “father of medicine,” composed a collection of aphorisms during his lifetime, which spanned from approximately 460 to 370 BCE. These aphorisms were likely intended to be applicable to medical situations. Yet some, such as “life is short, and art long” have for many centuries proven relevant to many facets of human experience. Anthologies of aphorisms by various authors have been commercially produced for several centuries. It is believed that the first of these anthologies was compiled by Dutch thinker Erasmus in the 16th century. In modern times, collections of aphorisms are sometimes produced as gift books as well as motivational or self-help volumes. Some keep such books at hand for bursts of philosophical revelation or emotional comfort, while others may thumb through them in search of inspiration as they compose a toast or speech. What Is the Difference between Allegory and Metaphor? What is a Direct Quote? I had a thought yesterday that could be defined as an aphorism. In my own life, it is so true. I am always in a hurry to get things done, and I don't know why. I'm rushing about, but I have no set goal that I'm working towards, and I worry that the stress of living the way I do will kill me at a relatively young age. I thought to myself, “If you run the race too fast, you will reach the finish line too soon.” Basically, I'm rushing through life only to meet my death quicker. I hadn't really realized this before, but once that thought came to me, I knew I needed to slow down. Otherwise, my life will be over before I know it, and I will not even be able to say that I enjoyed it.